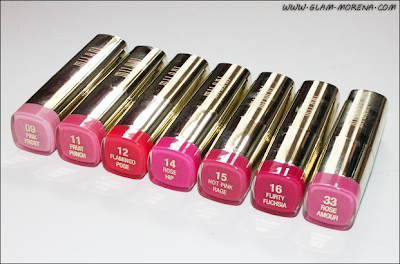 Glam Morena: Part 2: Milani Color Statement Lipsticks. 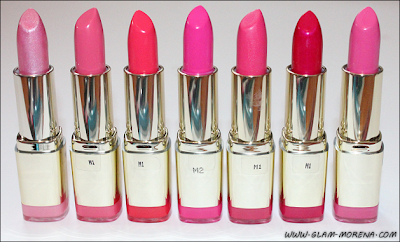 Part 2: Milani Color Statement Lipsticks. 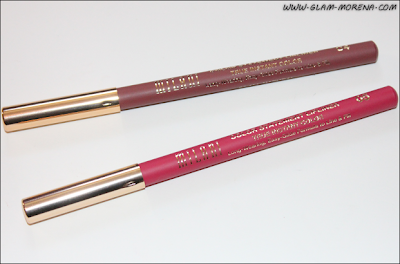 A few weeks ago I did a post on the new Milani Color Statement Lipsticks and Milani Color Statement Lipliners. I am loving both of these products right now! Over the next few weeks I will be sharing more shades of these products. Be sure to click here to check out my post on the Oranges and Reds. Description: Make a statement without saying a word! True Instant Color. One stroke, full coverage application. This next generation lipstick gives the ultimate in color, texture and finish. The lightweight creamy formula contains Vitamins A, C, & E to moisturize and nourish lips. Milani Color Statement Lipsticks in Pink Frost, Fruit Punch, Flamingo Rose, Rose Hip, Hot Pink Rage, Flirty Fuchsia, and Rose Amour. In order from left to right. Milani Color Statement Lip Liners in All Natural and Haute Pink. Description: Make a statement without saying a word. True Instant Color. Satin color in one stroke application. This next generation lipliner is a long-wearing, easy-glide formula to line & fill-in your lips. Swatches of the Pink and Coral Milani Color Statement Lipsticks. 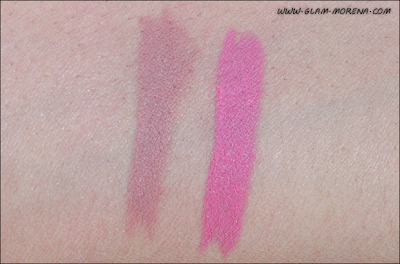 Swatches of the Milani Color Statement Lip Liners in All Natural and Haute Pink. Lip swatches of the Milani Color Statement Lipsticks in Pink Frost, Fruit Punch, Flamingo Rose, Rose Hip, Hot Pink Rage, Flirty Fuchsia, and Rose Amour. 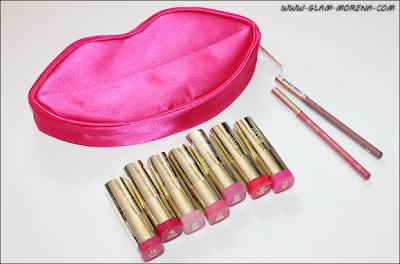 Along with lip swatches of the Milani Color Statement Lip Liners in All Natural and Haute Pink. Have you tried the Color Statement Lipsticks? Favorites? Thoughts? I have all of these lipsticks and I absolutely love them!!!! Ok I would normally never like a shade called "Frost Pink", at least not on darker skin tones, but I'm kinda diggin it. It's kinda fun and springy! Love these lippies. I even like the scent. Thanks, always appreciate the swatches.